There have been 3 main players in the online ordering for Restaurants and Take Outs, Menulog, Eatnow, and Delivery Hero. 2015 sees a new entrant into the marketplace, with Marketing4Restaurants rolling out our new Free Restaurant OnLine Ordering System making a fourth entrant into the fiercely competitive market. Why is Marketing4Restaurants entering an already crowded market and what is the difference between the 4 companies? Menulog appears to be the dominant player, with most of our customers saying that they get the most orders from Menulog. Their website says they have 4,200 restaurants in their network. Starting in 2006, they have grown to become a very profitable business. Headed up by Dan Katz, Menulog has steadily grown over the last 8 years and according to our customers, sends through by far the most orders per week of the 3 players in the market. Eatnow is the second biggest player and run by Gabby Leibovich, a really smart operator who is also behind Catch of the Day and Scoopon and the recently back from the dead Yumtable. Eatnow is very aggressive in the marketplace, trying to make up ground on Menulog. Eatnow does have a couple of interesting tactics. It evidently provides restaurants with “free” websites, but charges the restaurant commissions that can range as high as 12%. The standard Eatnow template website is missing one critical element, the phone number. This means that people wanting to phone in an order may order at another restaurant and also it makes the restaurant appear to be take out only, there is no option to dine in. Delivery Hero is the huge Gorilla in the room from the global perspective, having raised $656,000,000 of 9 rounds of investment, with the last investment being $350,000,000 in September 2014. Headquartered in Berlin, they have over 73,000 restaurants that they work with, but have struggled for traction in Australia. They operate in 21 countries. Founded in 2011, they have grown spectacularly but were late entrants into the Australian market and have struggled to win market share away from Menulog and the aggressive Eat Now. One of the ways that it has grown is through it’s affiliate program, which provides marketers with a 4% commission on every sale that they generate for customers over a 60 day period. These costs are obviously borne by the Restaurant themselves and go in some way towards the high costs that many Restaurant owners complain of, although the high commissions are an issue with Menulog and Eat Now as well. All 3 companies are really business to consumer businesses, finding people wanting food and matching them with restaurants. They provide the restaurant with a customer and clip the ticket on the way through. They view the customer as theirs (in some cases quite rightly, but often, the customer is really looking to order online from a restaurant they already know) and take the customer details and send out coupon offers of other restaurants to that customer. Since these companies started, the cost of software development has fallen dramatically and cloud based services make building an online business a lot cheaper. Marketing4Restaurants is leveraging this trend to be able to provide similar functionality to each and every restaurant that does take out ordering and want to move to taking those orders online. 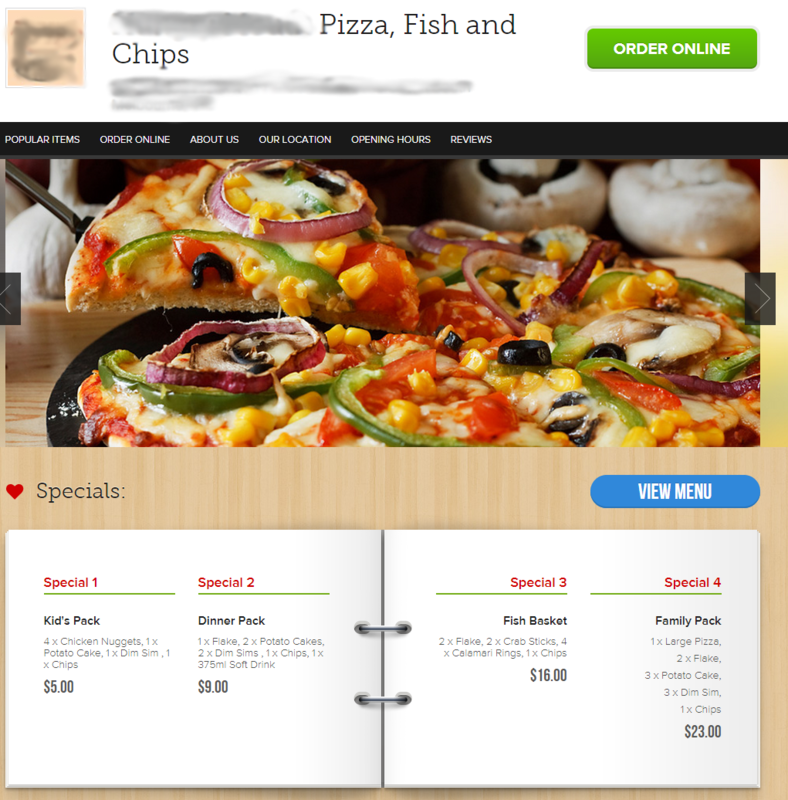 The Free Restaurant OnLine Ordering System aims to do things differently. This is going to be a big opportunity for struggling small restaurants looking to improve profitability and not wanting to share their customer database. It is also a huge opportunity for those restaurants who have recognised that the costs of taking online orders has been too high for them to afford. These restaurants will now be able to move to online ordering and get all of the benefits associated with it, which include less time spent on the phones, less customers lost who can’t get through to place an order, less errors in taking orders and a database of customer contact details which grows every day. Free Restaurant OnLine Ordering System is being offered free of charge to all restaurants and take outs wanting to take orders online. Set up is quick and simple and restaurants will be able to start taking orders in the same day that they sign up. Free Restaurant OnLine Ordering System is currently in Beta testing and is scheduled for release in early 2015.